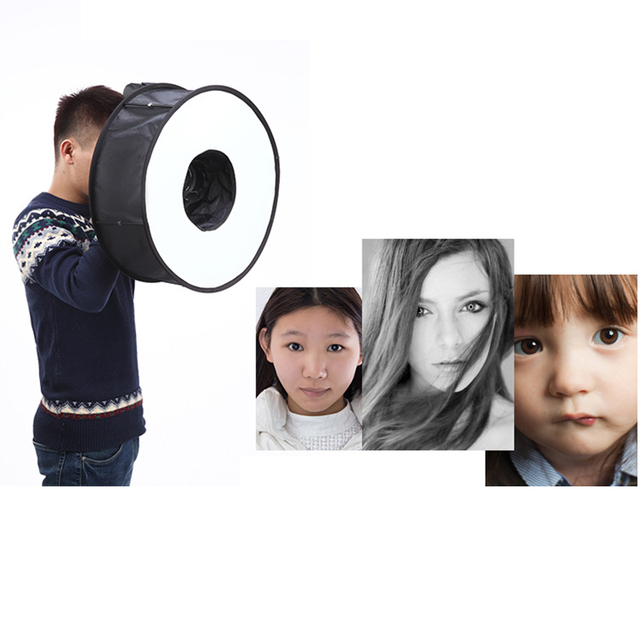 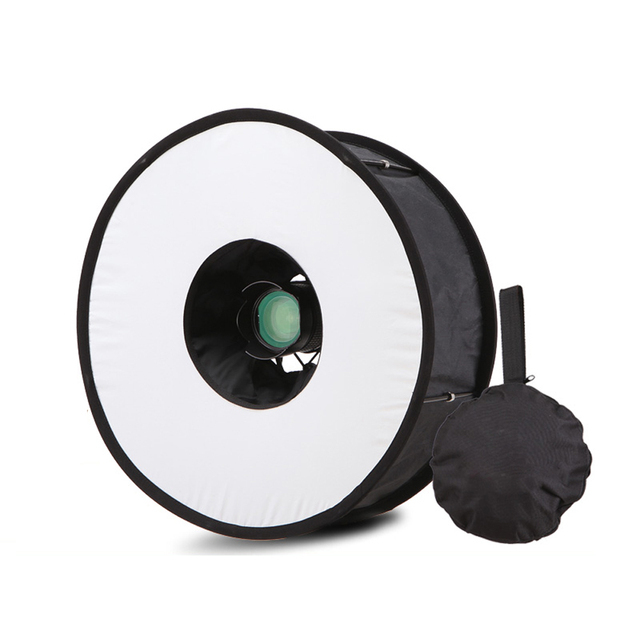 The softbox creates a perfect and even lighting that allows you to capture picture-perfect shots. it’s everything you need to produce studio like photography on a more professional level. 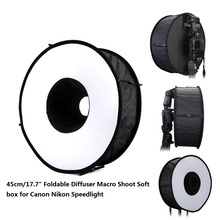 This ring flash softbox is made of fabric and rods, collapsing much like a softbox. 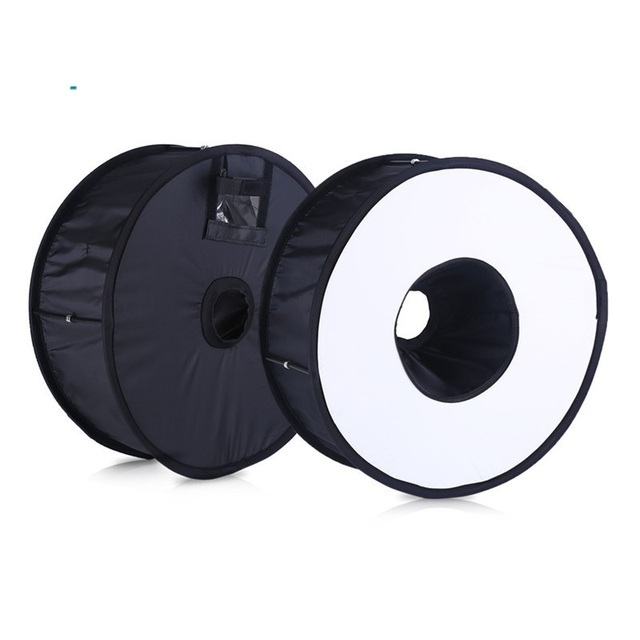 At 18″ in diameter, the assembled softbox provides quite a large light source, especially when compared to alternative adapters. A ring flash is a donut of light that sits around the camera’s lens. Because the light comes from all directions, the shadows cancel each other out. 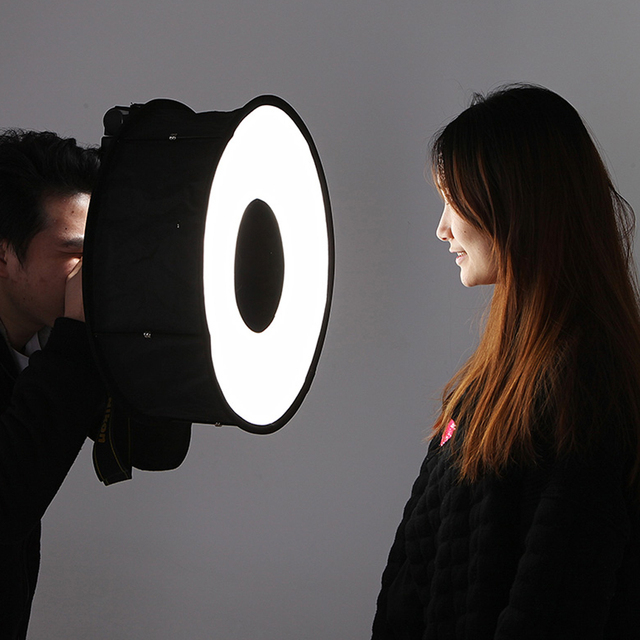 A softbox works by making the light much bigger, thus softening the shadows it casts and flattering the subject. Easy fold design, ring-shaped when unfolded. 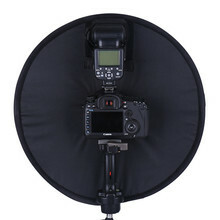 The top reserved an opening for flash unit with width adjustable. Skeleton made of magnetic iron pipe, easy to fold and easy to carry.